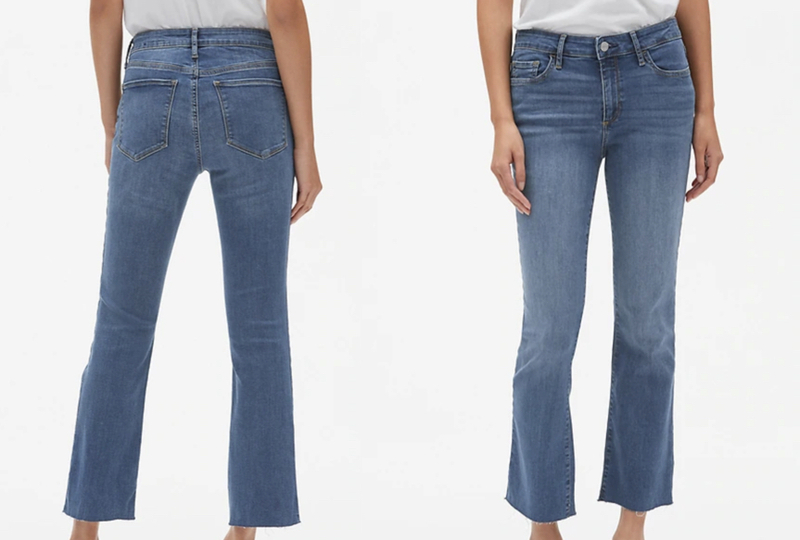 I cannot recommend these jeans enough; the Gap mid-rise kick crop. I bought a pair over the holidays and have since bought a second pair, and a third pair in white. I ordered them in a tall and cut the bottoms to the exact length I wanted. One pair perfect for booties and the other pair for tennis shoes. They are super soft and by far the most comfortable jeans I own.